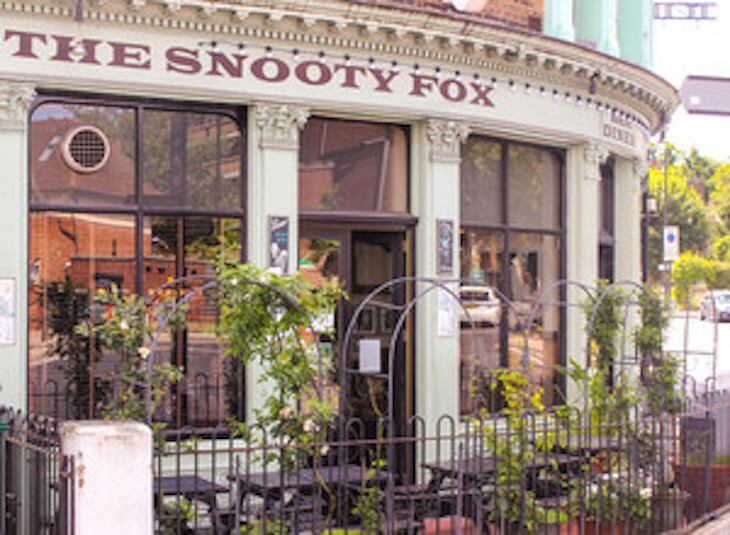 Canonbury’s marvellous Snooty Fox once again hosts ‘North London Brew Fest’ at the very beginning of the month, celebrating the joyous experience of drinking great beer in north London (but not, as the name seems to suggest, beer exclusively from North London). More than 20 beers from independent UK brewers feature, including some new ales and interesting collaboration brews, alongside the pub’s staple offerings of good grub and retro soul and rock’n’roll music. For £20 (ticketed in advance), you can attend an Ale and Cheese Masterclass on Friday evening, where you can enjoy a tutored tasting of six cheeses alongside a flight of six beers. Or for £15, you can match that flight of beers with any dish from the pub’s brunch menu at the Saturday lunchtime Beer ‘n’ Brunch event. Following the success of last year’s South Norwood Beer Festival, it looks like this event may become an annual fixture, as it returns for its third instalment to Stanley Halls (five minutes’ walk from Norwood Junction station). 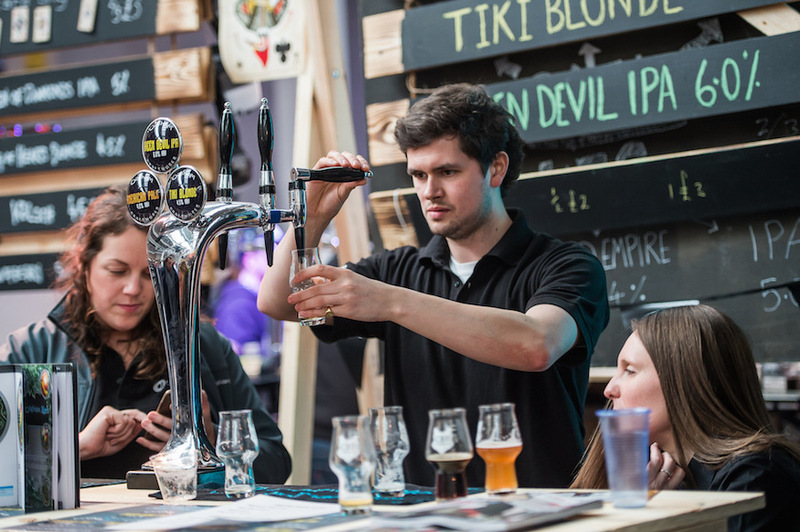 As a CAMRA festival, focus is on cask-conditioned ales, as well as a generous selection of ciders and perries, although a handful of key-kegs from well-respected craft brewers are also promised. A quick glance at the provisional beer list (PDF) indicates an interesting range of more than 30 beers from some high-quality UK brewers, and suggests quite a departure from the ‘usual suspects’ that repeatedly crop up at many of London’s beer events. Doors open at 12pm each day, with festivities lasting until 10.30pm on the Thursday and Friday, or 5pm (or until the beer runs out) on the Saturday. Entry costs £3 (or £2 for card-carrying CAMRA members). We harboured a quiet suspicion that last year’s Stokey Beer Fest was rather overpriced, so it’s good to see that they have dropped the ticket price of this year’s instalment to a slightly less painful £25. As before, this ‘all-inclusive’ ticket provides entry to one of the festival’s four or five-hour sessions in Stoke Newington’s handsome Abney Hall, a third of a pint from each of 11 brewers and one cider-maker in attendance, and a can of beer from Seven Sisters Brewery. 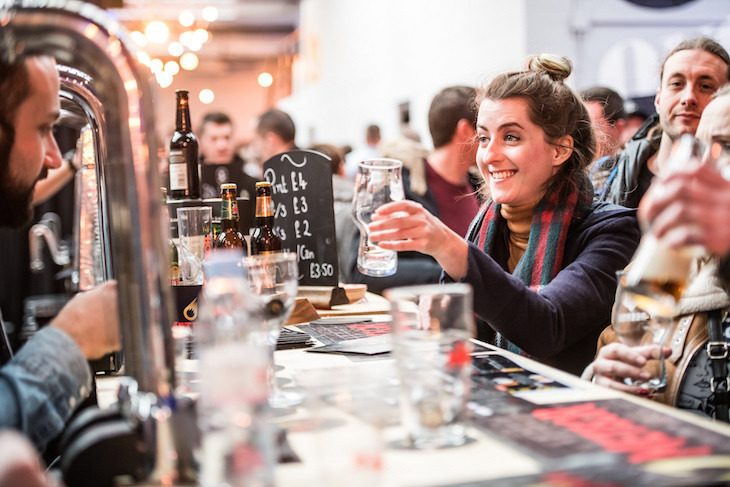 Half beer festival, half brewer expo, Craft Beer Rising returns to the cavernous Old Truman Brewery on Brick Lane for its umpteenth (we can’t be bothered to count) instalment towards the end of the month. More than 150 brewers will be showcasing their beery credentials, with local emerging ‘rising stars’ rubbing shoulders with more established UK craft brewers, and even ‘big players’ such as Brooklyn and Goose Island popping over from the US. Alongside the beer (and some ciders), a tasty selection of ‘street food’ vendors ply their wares, and a fairly substantial programme of fairly well-recognised DJs provide a musical accompaniment to all the quaffing and munching. The event runs across four evening or afternoon sessions; at the time of writing some ‘early bird’ tickets are still available for £16.80 — once they have gone entry will cost you £21.60. By evolving the normal line-up of its beer festivals to feature a dominant line-up of 14 keg beers (alongside the customary seven cask ales on the bar), Carshalton’s excellent Hope pub is evidently expecting a degree of consternation from the traditionalists in its regular clientele. The naming of the Evil Keg Filth Festival seems to be a tongue-in-cheek recognition that the keg-heavy selection of beers might raise a few eyebrows in what is normally a real-ale-loving pub. Still, when it comes to beer, the Hope’s judgement is eminently trustworthy, regardless of the serving style, and the offering is sweetened by the promise of some “rare and highly desirable bottles and cans”. Keep an eye on the festival’s web page for more details to emerge in due course.